Okay, so you have backed up your data, now prepare the memory stick. 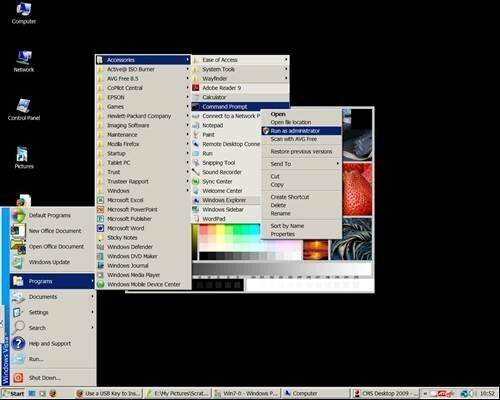 First you need to run a Windows terminal console in Adminstrator mode. This is achived by navigating the Windows Start menu to Accessories, scroll over "Command Prompt" and Right Click. You will be given the option to login as Administrator.